Doors open at 6:00 pm, program begins at 6:30 pm. Lior Lev Sercarz is the chef, spice blender and owner of La Boîte, a biscuits and spice shop in New York City. Recently, Lior has been named one of Bon Appétit‘s “Tastemakers of 2012” and La Boîte has been featured in publications including The New York Times, Vogue, In Style Magazine, Every Day with Rachel Ray, Food & Wine Magazine and the SAVEUR 100. 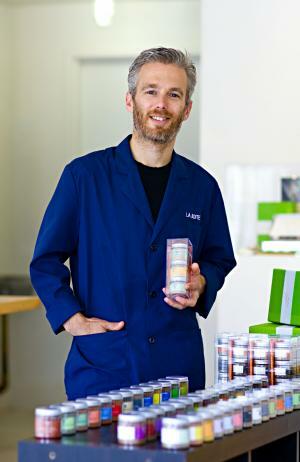 Since the beginning of his career, Lior has worked closely with chefs from around the world, developing custom blends for them and for other customers with all levels of cooking experience. In 2012, he produced a cookbook, The Art of Blending, which features 41 blends along with recipes and cooking tips provided by renowned chefs and culinary minds including Gail Simmons, Daniel Boulud, Eric Ripert and Apollonia Poilâne. MOFAD members save 25% on tickets! Join here. © 2019 ShowClix on behalf of The Museum of Food and Drink. All sales are final. Tickets are non-refundable.